One of the service names on Our Holy Week schedule that might seem (particularly) unfamiliar is Tenebrae, taking place on Wednesday evening at 6:30pm. Named for the Latin word for shadows, this service offers us the opportunity to reflect upon the shadows that fell upon Jesus’ followers in the time leading up to his death, a time when evil seemed victorious over good. We participate in the growing anger, fear and dismay of the disciples using the words of the Psalms and the book of Lamentations. As the service progresses, we gradually extinguish a stand of fifteen candles, until only one remains—the light of Christ. Then that light, too, is hidden from us, even as it was hidden from the disciples as Christ lay in the tomb. As we wait in silence, we hear the sound of an earthquake, and the light returns to us. Why would we want to do this? Why choose to put ourselves through this re-enactment of anxiety when we know that Christ has already risen from the dead? We do this because we do not always bask in awareness of the light of the risen Christ. We all too often live our lives under the shadows of anger, fear and dismay, forgetting that God has already triumphed over sin and death. When, therefore, we choose to walk through these shadows with the disciples, we remind ourselves that evil only seems to triumph over the other parts of our lives. We always have access to the light of Christ, even when that light is hidden from us or from those to whom we bear witness. Then, the next time we find ourselves overwhelmed with life’s shadows (and there is always a next time), or the next time we encounter someone else who is overwhelmed, we carry with us the memory of this experience. Having exercised our faith in our worship, we are prepared to do the work to which God calls us, even when that work is simply a matter of remembering that the light we cannot now see is only hidden, not extinguished. And when we hear the sound of the earthquake, we know that it is the sound of deliverance, not destruction. The service of Tenebrae emerged in the Middle Ages from the monastic service of Matins and Lauds for Maundy Thursday, Good Friday and Holy Saturday. This monastic influence is still apparent in the use of Gregorian Chant for praying the psalms and in the division of the service into nocturns, or night watches. 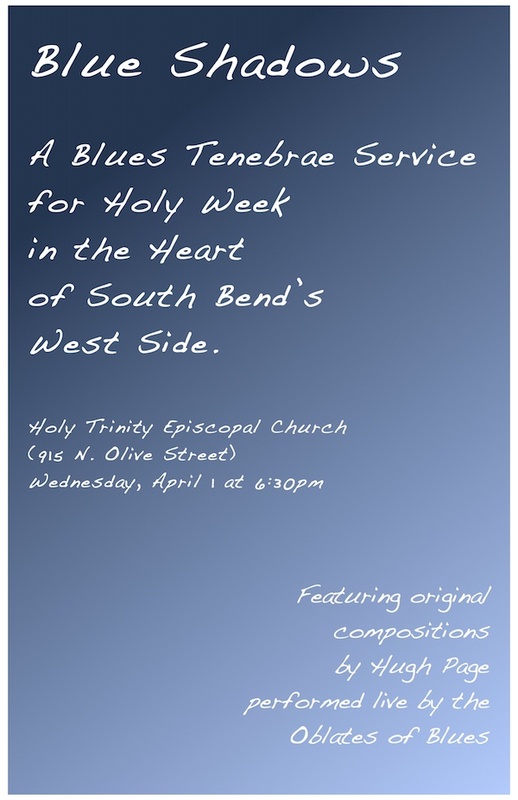 Other musical settings of the Tenebrae service became available as the appeal of Tenebrae spread beyond the monastic community over time, so that one may now find polyphonic, baroque and even jazz versions of the Tenebrae service. 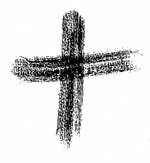 It has become common practice in the Episcopal Church to hold the service of Tenebrae on Wednesday of Holy Week rather than on Thursday, Friday or Saturday. Two historical factors have led to this practice, which we are following at Holy Trinity. One has to do with time and the other with function. The precise timing of Matins and Lauds, originally sung at night and at daybreak respectively, varied considerably from place to place and even from day to day as the nights grew shorter. Matins for particularly important days in the life of the church could be quite long and elaborate, requiring the service to begin earlier and earlier in order to end by daybreak. Thus the services of Tenebrae, as Matins for Maundy Thursday, Good Friday and Holy Saturday, would begin sometime in the evening on Wednesday of Holy Week. In a monastic community, Matins and Lauds are a part of the regular worship on each and every day, so Tenebrae functions as a particular focus for the prayer already being done on each day. Outside of the monastery, however, different worship patterns prevail. Other obligations inhibit lay attendance at multiple services, and the services of Maundy Thursday, Good Friday and Holy Saturday already have their own emphases. 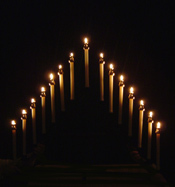 Thus in the Episcopal Church we keep only the first of the Tenebrae observances, on Wednesday evening, to allow its own function to receive emphasis without conflicting with that of the other services.